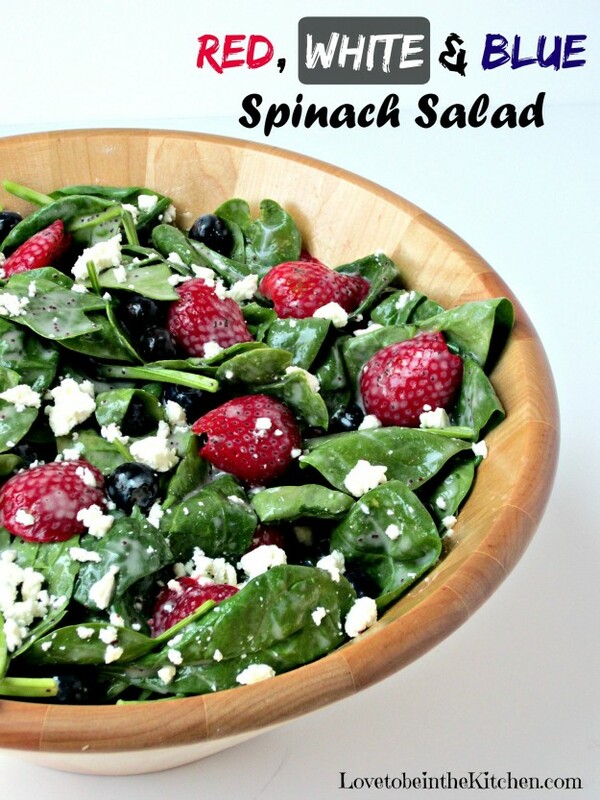 This Spinach Salad is perfect for the 4th of July and the summer! Red strawberries, blue blueberries and white feta! How great is that? Red, white and blue desserts are great but I love the idea of having a healthy option for summer get-togethers. This salad is one of my favorites. 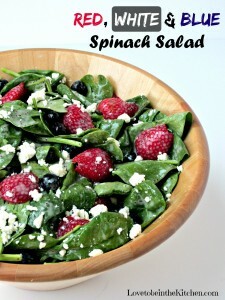 The poppy seed dressing is the perfect pair with the spinach and add fresh fruit you got some great flavors going on! The feta adds the perfect touch and you could even add nuts if you want. This is sure to be a great and healthy hit at your next get-together! 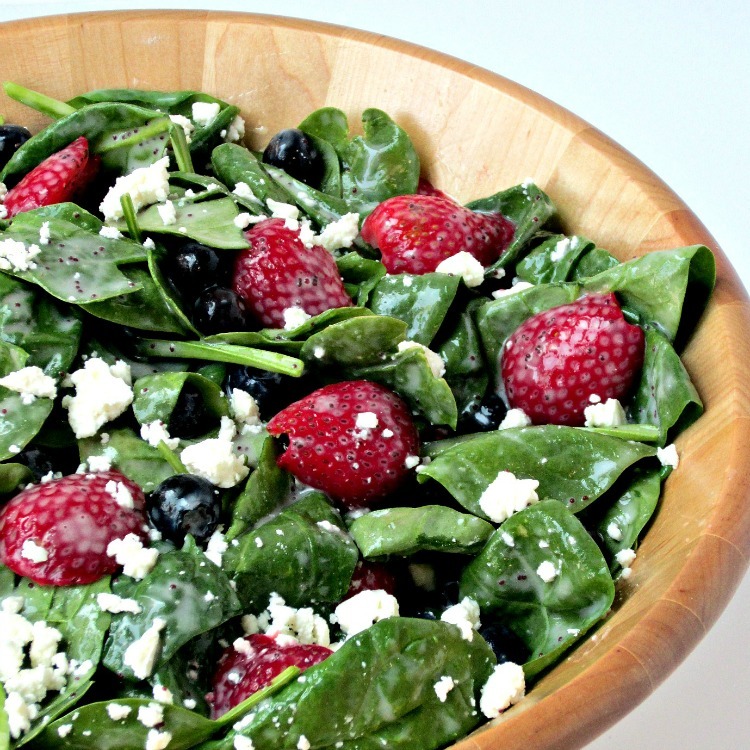 Place spinach, strawberries and blueberries in a large bowl. Toss with desired amount of poppy seed dressing. Sprinkle the feta on top. Add more or less of the fruit as desired. This salad is also great with nuts like pecans or sliced almonds. 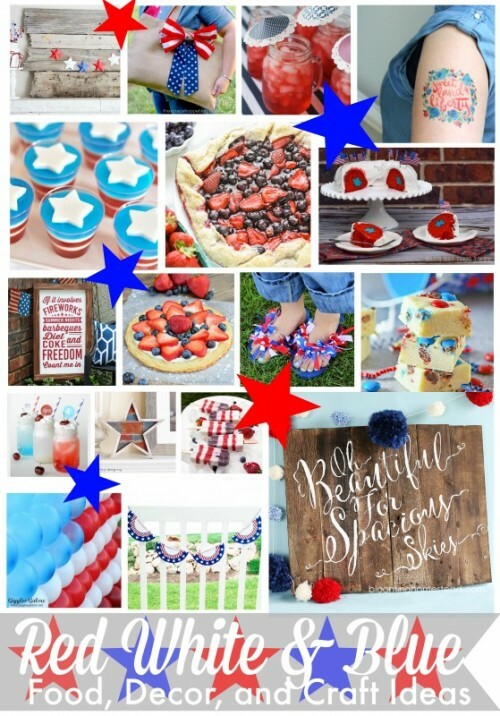 Check out over 80 Red, White and Blue Ideas! Thanks Kendra! It’s a favorite of mine!